Today, most applicants send their resume to hiring managers electronically via email or through online service. Faxing your resume to employers is a fast and unexpected way to get your credentials in front of hiring managers. With your active Avjobs applicant account, you can print your fax ready resume, cover letter & fax cover sheet directly from the Avjobs Applicant System with the click of a button! 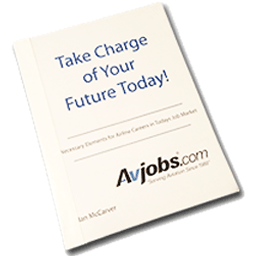 Avjobs Applicant accounts enable you to print fax ready documents specific to each job posting. After you have logged into your active Avjobs applicant account and found jobs you want to apply for via fax, simply personalize your resume and cover letter and in seconds they're ready to be delivered. Our designs are fax safe meaning the font and style will look good when received, and the fax will be scan-able. When you print fax ready documents from our site, your resume, cover letter & fax cover sheet will look crisp and professional and make a great impression when faxed. Hiring managers and recruiters are bombarded with emails and phone calls - a professionally formatted, faxed hard copy of your resume and cover letter may be just what you need to get noticed. You might even want to apply by email and follow up with a fax. No fear of a resume "black hole" here! Your fax machine will give you a confirmation so you'll know your fax reached its destination. Your Job Search Assistant keeps track of who you have faxed your resume to, and gives you the opportunity to enter follow up notes for future use. Don't be afraid to fax your professional Avjobs resume as it may put you at the top of the list.